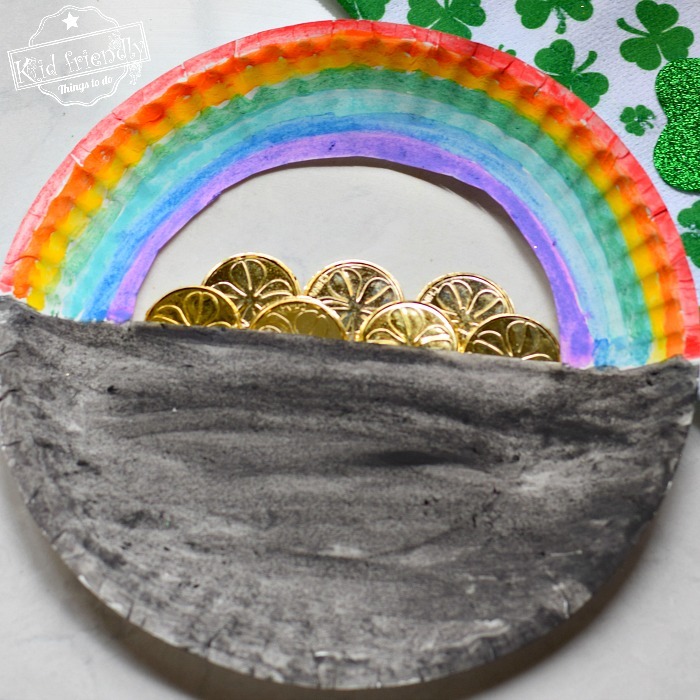 Kids will love seeing a paper plate transform into a cute Rainbow with a Pot of Gold at the end. 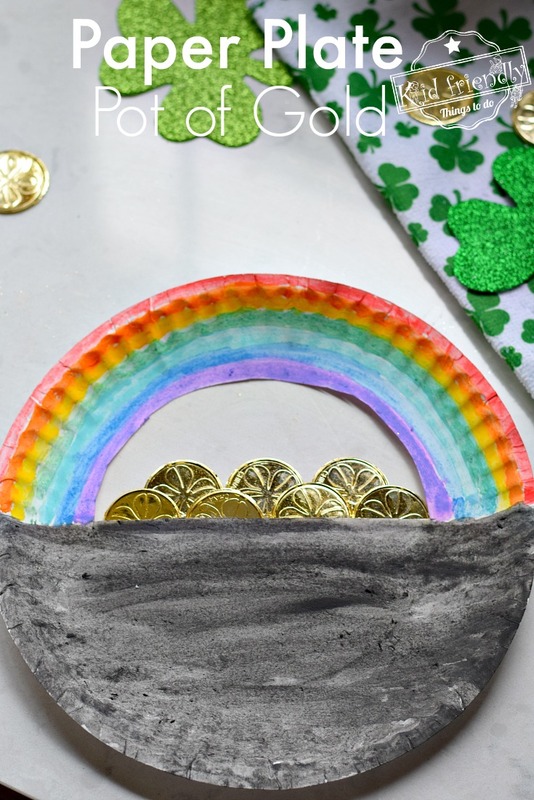 This Paper Plate Pot of Gold Craft is a great way to celebrate St. Patrick’s Day with the kids and have some fun using watercolor. 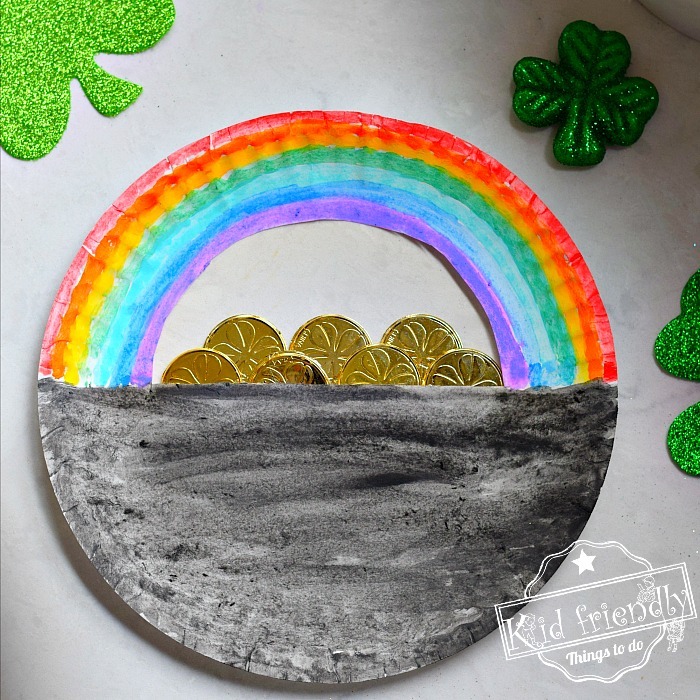 Come on in, and I’ll show you how to turn a paper plate into a cute St. Patrick’s Day Pot of Gold. 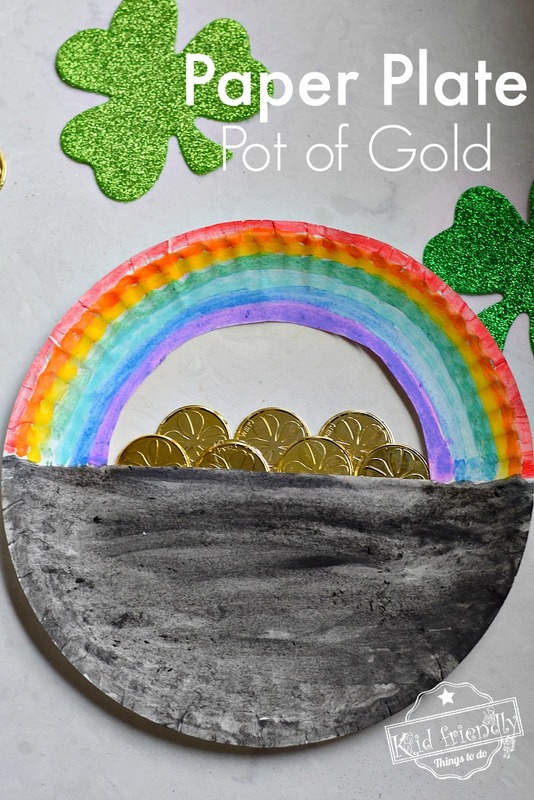 Who doesn’t love a bright and colorful rainbow or gold for that matter?! My kids love it when I say that we are going to paint. Usually, after cleaning up from painting projects, I go a long while before I suggest another one. This time, however, we used simple watercolor and had so much fun. There wasn’t much to clean up, at all. 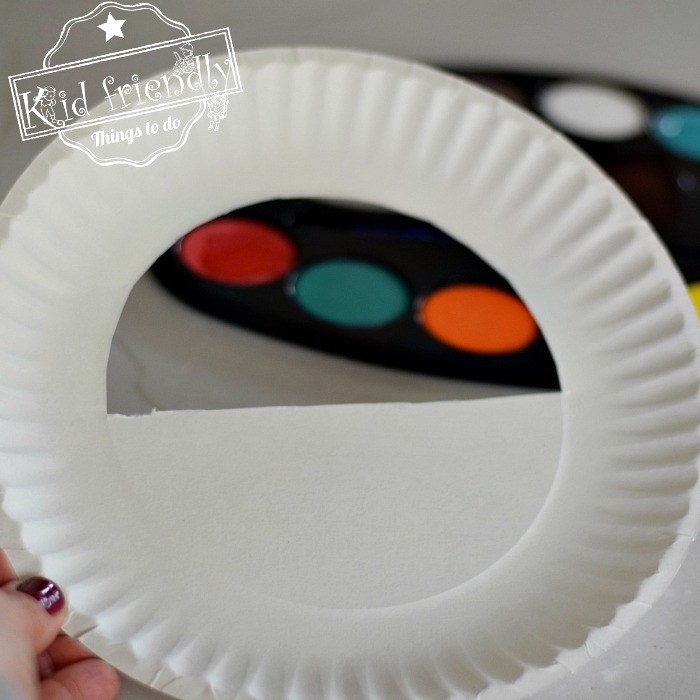 This craft might have restored some painting fun in our house. 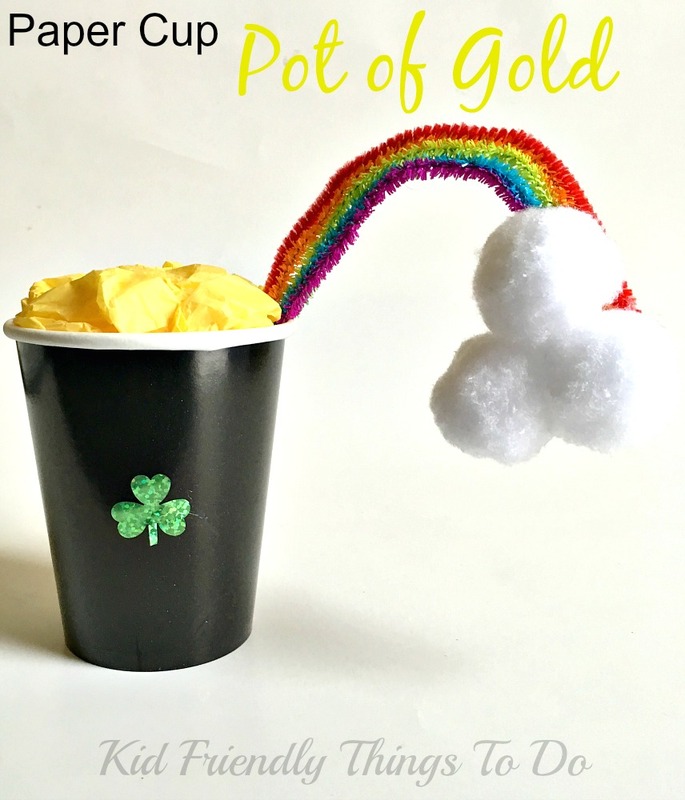 Do you Have to Paint this St. Patrick’s Day Pot of Gold Craft? Absolutely not. I completely understand your hesitation when it comes to painting. Great alternatives to watercolor paints would be marker, colored pencil or crayons. 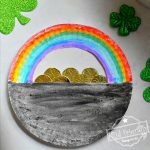 Is this an easy craft for little kids? 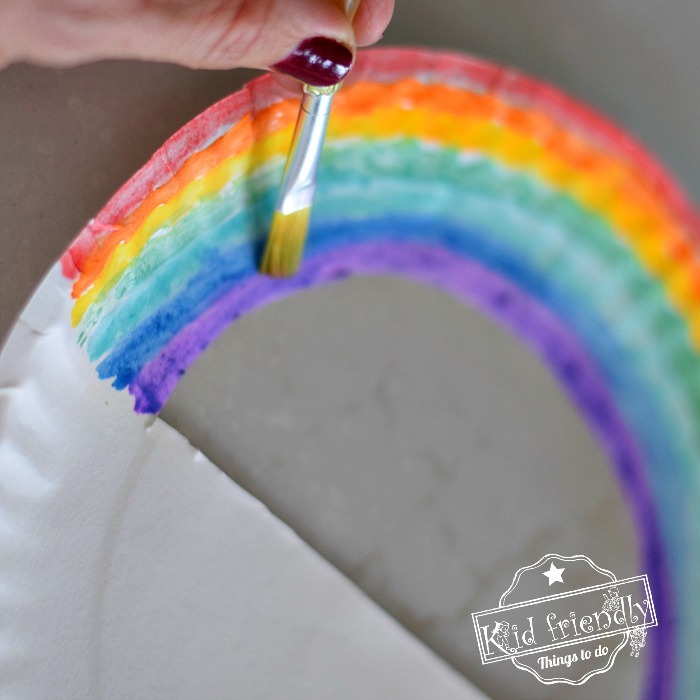 The key to making a craft easy for little kids is prep work. 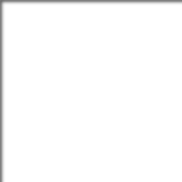 Do everything that you can ahead of time to make the actual craft go smoothly. 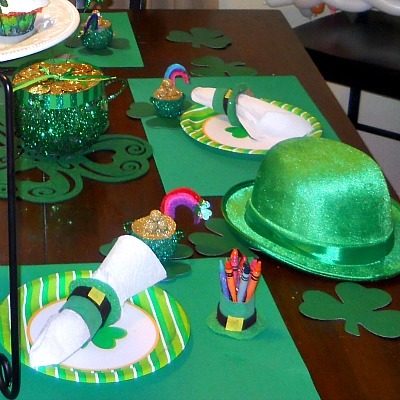 You’ll want to cut the paper plate ahead of time and help guide them with someone on one help in coloring everything in. Remember, kids, don’t have to do everything to be proud of their accomplishments. If you feel they are frustrated, step in or take a break. They are happy just to add finishing touches. 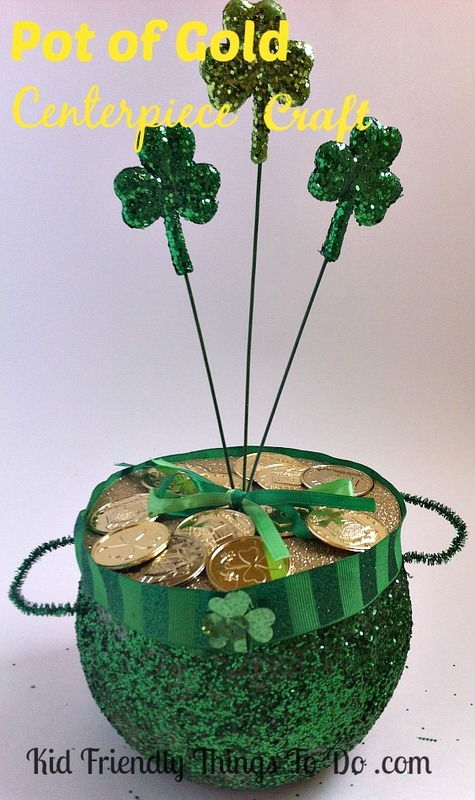 Is this a good decoration for St. Patrick’s Day? Absolutely! 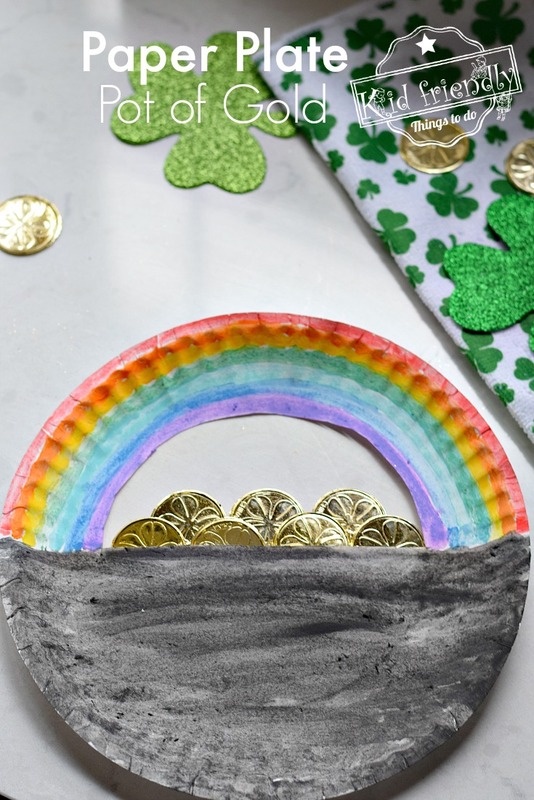 Not only is it a keepsake from the kids, but it’s also adorable hanging up in the middle of your St. Patrick’s Day decor, on the refrigerator or propped up in the kitchen.